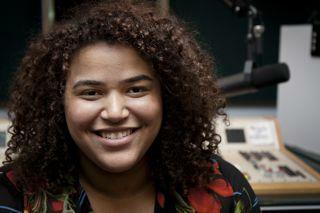 During her St. Louis Public Radio Race, Culture and Diversity Fellowship, Emanuele Berry has reported in this city at a dynamic and critical time. As her year-long fellowship comes to a close, “St. Louis on the Air” host Don Marsh spoke with Berry about her work in St. Louis and her next steps. Host Don Marsh speaks with St. Louis Public Radio's Race, Culture, and Diversity Fellowship reporter Emanuele Berry. Only a few weeks after she began her fellowship, Berry was thrust into the starkest possible illustration of her work on race, culture, and diversity. She reported on the systems and structures that keep St. Louisans apart, and which were exposed following the death of Michael Brown in Ferguson. Berry also hopes to do research on cultural interaction and exchange in Macau, a peninsular state which was once a Portuguese colony and, as one of the two special administrative regions of China, has important cultural and political differences from the mainland. She will stay in Macau for a year to complete her assistantship . “St. Louis on the Air” and St. Louis Public Radio wish her all the best. Those are the words that we found ourselves saying in the months after Michael Brown was fatally shot last August by then-police officer Darren Wilson. Those are also the words we've chosen as the name for an effort we're beginning today. It’s a multi-faceted, multi-media project that we hope will shed some light on the very tangible racial issues that seemed to be at the heart of the unrest and protests that swept our region — and eventually the rest of the country — during the last few months of 2014. Monday marked six months since the shooting death of Michael Brown in Ferguson. Since then, there have been many conversations about race, municipalities and use of force. Protests have been organized throughout the St. Louis region. And several commissions and organizations have been created.